The Faro Airport Information Guide blog provides news and updates on Faro Airport, including new flight information and more. Faro Airport Information Guide can help you find out everything you need to know about the airport before you travel. This includes up to date information on all the shops, services, facilities and more. Spanish airline Iberia have announced that flights between Madrid and Funchal will be resumed. The airline is expected to be operating at least four weekly flights between Faro Airport and Madrid. Daily flights will also be operated between Funchal and Madrid over the course of the summer schedule. According to Iberia, by reintroducing these routes they aim to further strengthen the offer of seats and improve on the number available during the previous year. Iberia are aiming to offer 145 per cent more seats on flights to and from Faro Airport compared to last year. The flights operated over the summer months will use A320 planes, which have a larger capacity of seats available. These planes will be able to seat between 141 and 200 passengers, allowing more people to travel to Faro and other destinations. The four-time weekly flight schedule from Madrid to Faro will continue until 26 October, with the potential for five flights in July and eight in August. The continuation of flights to and from Faro Airport comes as part of Iberia’s plans to offer more flights to different destinations and to increase the number of seats available. The newly resumed route from Madrid to Funchal, for example, will be taking place twice a week and began on the 13th of this month, three months ahead of the start of the summer season. The number of flights is expected to increase in the peak summer season. Iberia have estimated that this will increase capacity by 64 per cent compared to the previous summer season. Currently, Iberia operate 132 weekly flights between Faro, Funchal, Lisbon, Porto and Madrid. The company is aiming to offer more than 1.10 million seats on flights between Portugal and Spain in 2019. This represents 7.56 per cent more than the total number of flights in 2018. For more information on flights to and from Faro Airport, take a look at our dedicated flights page. We also have live information on arrivals and departures to help you plan your journey before you travel. The post Iberia resume flights to Faro and Funchal from Faro Airport appeared first on Faro Airport. One of the best things about travelling to new places is getting to try delicious new delicacies. If you’re a food fan planning a trip to Portugal, then you’re in luck. Faro and the Algarve have a number of fantastic foods to try, from savoury meals to sweet treats. Take a look below at some of the great traditional Portuguese delicacies you must try while you’re there. Bacalhau is a very popular, traditional Portuguese dish that you’ll be able to find no matter where you go in Portugal. It can also be cooked in a wide variety of styles, so there’s even more for you to try! Some say that there are nearly a thousand ways to serve it. Bacalhau itself is salted cod, and can be prepared as a full meal or also as snacks and appetisers. Take a look around and see how many different versions of bacalhau you find. If you’re a seafood fan, you’re bound to find a recipe you love. Caldo verde is a simple, traditional Portuguese soup made with onions, potatoes and kale, and also cooked with garlic and olive oil. It is typically served with a slice of smoked pork sausage known as linguica. This is a very popular soup in Portuguese cuisine. Similar to bacalhau, it can also be cooked in a number of different ways. If you fancy something a bit different to bacalhau and caldo verde, you could try arroz de bucho – a blend of rice and pork often served with salad and vegetables. Interestingly, arroz de bucho is cooked and served inside a pig’s stomach and usually served in slices. Don’t be put off though: arroz de bucho is well known for its great taste. If you like meat but don’t particularly like the sound of arroz de bucho, why not give leitão a try? Leitão is a Portuguese version of suckling pig, typically spit-roasted in an oven and known for its rich fatty flavours. While cooking, leitão is continually basted with garlic, pepper, salt, bay leaves and pig fat. Leitão is also commonly served as part of a celebration or a special occasion. Portugal has a fantastic selection of cheeses to enjoy, such as Queijo de Azeitão and Serra da Estrela. Queijo de Azeitão is popular in Portugal and produced in Azeitão, from where it takes its name. It is easy to find in shops and restaurants, and is known for its creamy texture. Serra da Estrela comes from the Serra da Estrela mountains and is known for its strong smell and equally strong flavour. This cheese is made from sheep’s milk and is a gooey, delicious treat. Of course, these are just some of the fabulous foods and treats that Portugal has to offer. Depending on where you go, you might even get a chance to try something else. If you’re planning a trip to Faro and the Algarve, take a look at our handy area guides to find out more before you travel. The post 5 Portuguese delicacies you must try while you’re there appeared first on Faro Airport. Ryanair and Norwegian, two hugely popular airlines, have announced new flights to Faro Airport this summer as well as several other destinations across the world. Norwegian recently opened a new air base at Denmark airport and have announced that there will be 14 extra weekly departures. The new routes to Faro are scheduled to operate on Sundays and be launched on 11 May. The new Norwegian air base has already opened, having started operations there on 1 April. The summer flight schedule at Cork Airport includes a number of routes added by Ryanair, as well as Aer Lingus, as both airlines continue to expand their operations. For more information on flights to Faro from Ryanair, Norwegian, Aer Lingus and other airlines, take a look at our dedicated flights information page. We also have live updates on arrivals and departures to help you plan your flight. The post New flights to Faro Airport with Ryanair and Norwegian appeared first on Faro Airport. 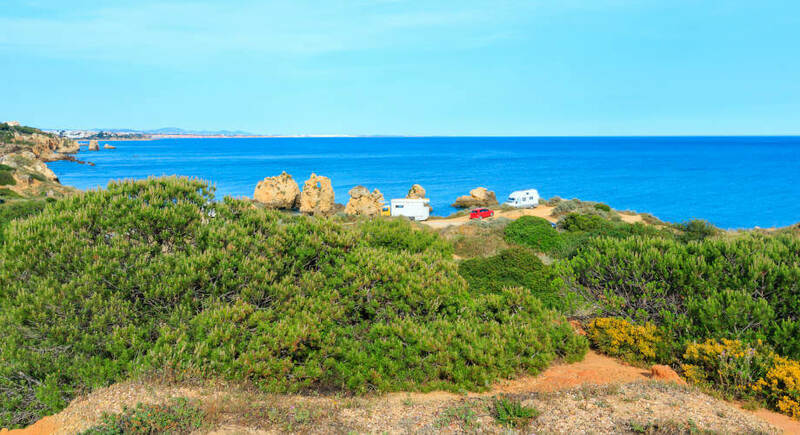 The post Essential camping info on the Algarve appeared first on Faro Airport. The post Essential Portuguese phrases you should know before you go appeared first on Faro Airport. Faro is a fantastic holiday destination, and the perfect place to visit if you want to explore the Algarve. There is plenty to see and do no matter what you’re interested in, with cities rich in history and culture, great places to eat and spend a night out, and beautiful beaches with golden sands and clear waters. We’ve put together a list of five of the wonderful places across the Algarve that are easy to reach if you’re staying in Faro. 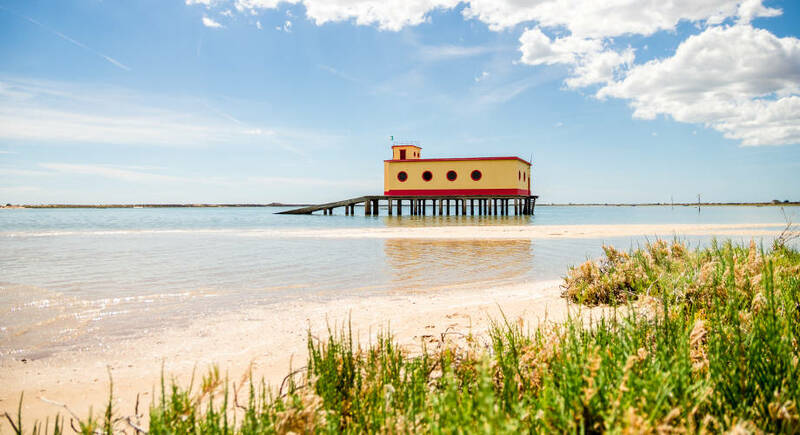 The Ria Formosa Natural Park is a beautiful collection of three sandbar islands, canals, islands, swamps and sandbanks that can be seen as you fly to Faro Airport. This incredible destination was voted one of the seven natural wonders of Portugal, and is also home to birds and wildlife including flamingos, cranes and much more. You can explore the waterways of the Ria Formosa on one of the many boat tours, or discover the beautiful beaches and sandbanks. The boat trips usually leave from Faro harbour. Thanks to its proximity to many towns and cities across the Algarve, the Ria Formosa Natural Park is easy to get to and is approximately 10 minutes away from Olhão. 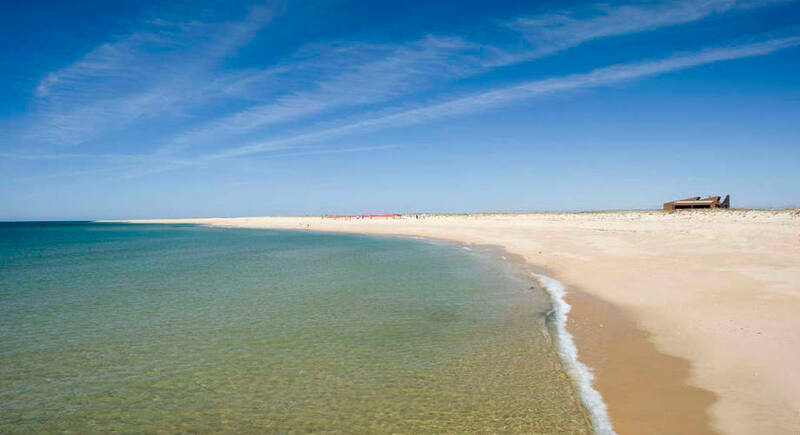 The Ilha Deserta beach (also known as Ilha da Barreta) is another stunning example of the Algarve’s beaches. As well as being a beautiful place to soak up some sun, the Ilha Deserta has a unique attraction – it is the only uninhabited island close to the Ria Formosa. Nobody lives on the island, and the isolated location means the beach is much quieter than mainland destinations. The name itself (Ilha Deserta) actually translates to “Deserted Island”. Ilha da Barreta is the name of the island, but Ilha Deserta is a popular nickname given to it by the locals. This does mean that you will need to take a boat to get to the island, but the trip is not a long one. Make sure you keep an eye on the time though, as the last boat from the island leaves at 5.30pm and you’ll be in for a tricky time getting back to the mainland. There is a restaurant that serves food and drinks, but there are no other facilities on the island. If you’re planning a trip to the Ilha Deserta, make sure you come prepared! As well as beautiful beaches and great scenery, Faro and the Algarve is home to fantastic towns and cities that are rich in history, culture and traditional architecture. 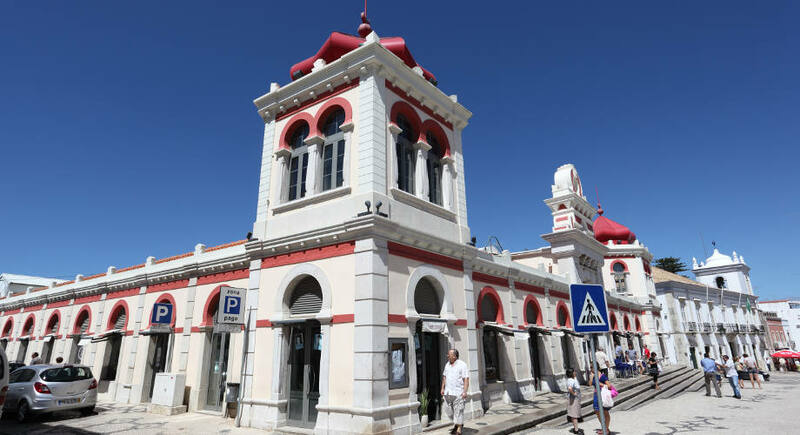 Loule is one of the most popular places to visit in the central Algarve, home to a number of historic monuments including a Moorish-inspired covered market, the Museu Municipal museum, a castle and the beautiful Conceição chapel. There are also great restaurants, hotels, shops and cobbled streets to explore. Thanks to its compact size, Loule is an ideal place to spend the day and is only 40 minutes from Faro by bus. If you want to see the covered market, make sure to go on a Saturday. If you like to hike, there is also the Nossa Senhora da Piedade church that offers panoramic views when you reach the top. Tavira is another historic Moorish town close to Faro and is often considered one of the prettiest towns in the Algarve. It is also referred to as “The Venice of the Algarve” thanks to its beautiful waterways and renaissance churches. There is a large Roman bridge and an old castle on a hill that overlooks the town. You can explore the cobbled streets of the old town by foot, or go kayaking on the river. The town is easily reachable from Faro, making it a perfect destination for a day out. 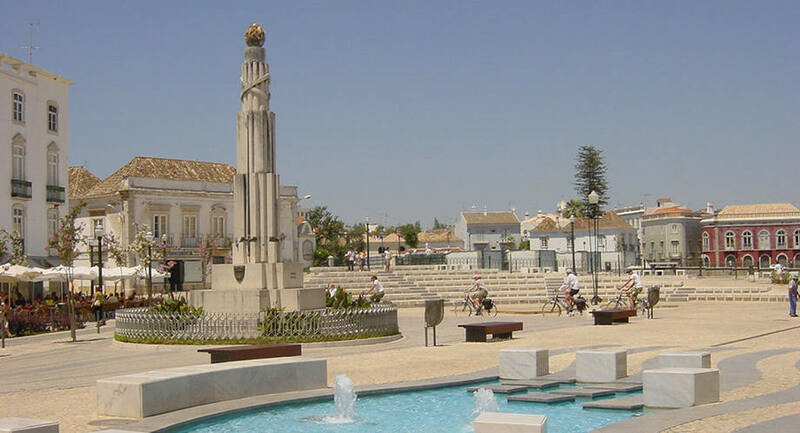 Tavira is approximately three kilometres inland, and takes just half an hour to drive to from Faro. There are also train and bus services available, with some routes taking up to an hour. 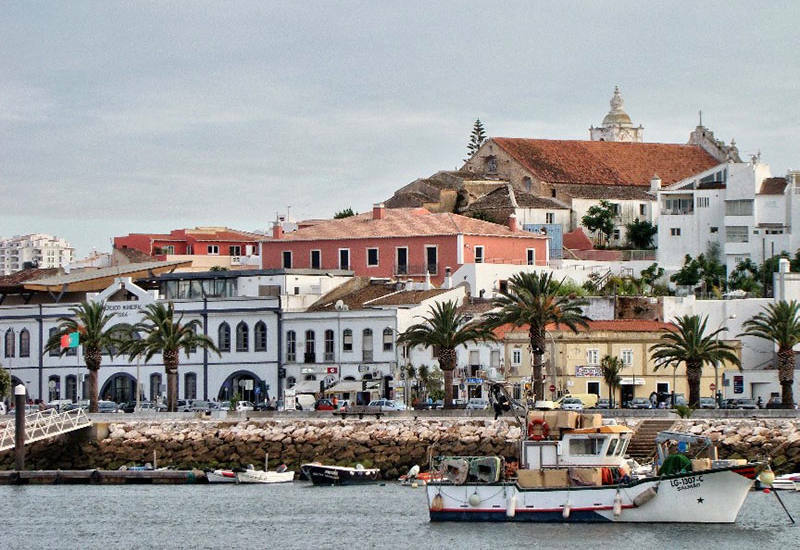 Lagos is a popular historic city situated on the western end of the Algarve coastline and known for its picturesque town centre, restaurants, buzzing nightlife, beaches and more. The old town is home to historic churches, cobbled streets and 16th century town walls, as well as a number of other historic sites. The city is one of the most visited cities in the Algarve, and it is easy to see why. Lagos is just over 90 kilometres from Faro Airport and takes approximately one hour to reach by car. Public transport is available but limited, so it is often suggested that you drive there and hire a car. Buses and trains to Lagos are available, but there are limited daily departures and the journey takes close to two hours. The post Five-day excursions from Faro appeared first on Faro Airport.